It takes time to read a book of any sort (certainly more than watching a movie or a presentation from a slideset) but especially one written with a certain amount of rather dense or special-purpose language. However, it takes vastly more time (and money) to do the work that produced said book. Though specialized, there is a comprehensiveness to an ethnographic monograph that can offer incredibly useful shortcuts for those carrying out shorter-term, outcome focused fieldwork in the same or similar sites. It can be a key reference point for attuning your attention to cultural phenomena, aiding recognition of key cultural elements, helping you with enough background to be able to ask better, more appropriate and insightful questions. It is certainly much cheaper than contracting out your research to the author of the book or another regional expert. It is cheaper than doing the fieldwork yourself. And far cheaper than investing in a design, policy, or business strategy that fails in ways that some more general knowledge about the implementation context would have made obvious. My hope is that any outside organization (whether an NGO, government, or private company) planning some sort of intervention or program in Ghana would find value in my book as a way of priming their attention and expectations and challenging a few assumptions even though I don’t offer design advice or policy recommendations. 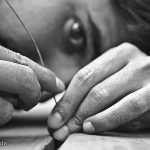 A ‘single’ and ‘specialized’ subject? Yes, but not only. 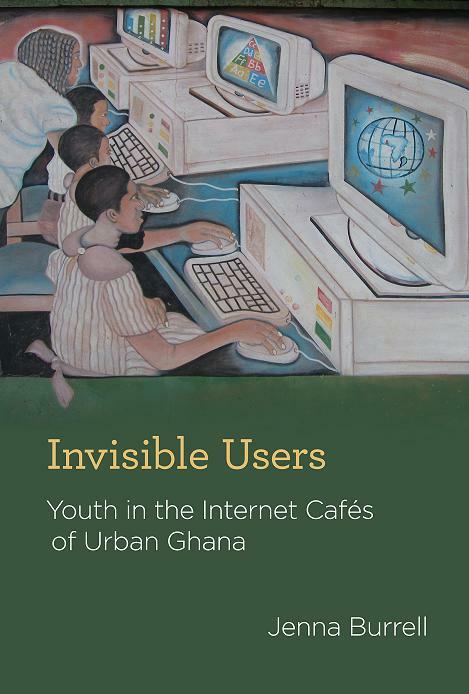 Announcing my book title “Invisible Users: youth in the Internet cafes of urban Ghana” an old friend joked about a book he was writing on “youth in the Internet cafes of suburban Ghana.” Point received about how such specialization can appear slightly (or not so slightly) ludicrous. But as the film critic Roger Ebert noted (sometime, somewhere, though the source escapes me) that no good movie is only about what it is most apparently about. 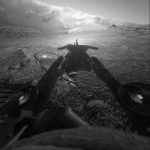 Rather, it says something insightful about larger human themes – existential dilemmas, types of interpersonal relationships, particular emotions, or universal experiences. Famed anthropologist Clifford Geertz once described the specialization and sitedness of ethnographic work favorably as, “another country heard from.” However, an ethnographic monograph is usually more than that, it is about something bigger (trends, concepts, theories). A good one (like a good movie) should make this apparent to its readers. Mine is about theories of the user and how models that privilege developer-user interactions and forms of direct user feedback leave a resounding silence about the agency of those who acquire technology through informal means (such as the global second-hand trade). It is also about rethinking the boundaries we draw around who is a user and what practices constitute use, by looking at scrap metal dealers, church sermonizing, and youth clubs. It is about marginality and theories of materiality. The very best ethnographic monographs, the ones that end up widely read regardless of whether the subject or site is specifically relevant to the reader or not manage somehow to transcend the ‘single’ ‘specialized’ subject. To name a couple of (very different) favorites – Sharon Traweek’s book Beamtimes and Lifetimes (about the culture of high-energy theoretical physicists) and Nancy Scheper-Hughes book Death Without Weeping (about mother love, child-rearing and poverty in Bahia, Brazil). I remember from my time working in an industry research group that the books we read were not always strictly ethnographic monographs or academic works, but also included well written works of journalism. When read in conjunction with fieldwork planning, they accomplished a lot of the groundwork that helped familiarize us with an, at first, totally unfamiliar site. Drawing sharp boundaries about what is (an ethnographic monograph) and what isn’t is, I think, not the point here. Why do you read ethnographic monographs? Which ones do you think transcend their subject and site? Jenna, I liked your Ebert reference: that tireless observer/recorder of human behaviour through the POV of his favorite films. Not sure if it would be considered an ethnographic monograph, but I love The Spirit Catches You and You Fall Down by Anne Fadiman. Great post, really inspiring, thanks. I am an innovation project leader – anthropologist working in industrial setting and I use to start most of my researches by some time dedicated to reading ethnographic monographs. 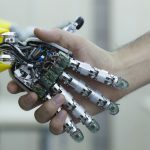 Colleagues in marketing and engineering were surprised to realize this first step provide powerful insights depending on the available literature. Writing your own monograph is also a powerful mean to stay in touch with academic partners: this help you to stay attune to innovation in the field. Wish you the best to your book. I comepletley agree that they shluod be in OCR files, otherwise, they are not very useful to readers. Right now. In order to find and check out an eBook from my public library, I have to leave the library catalog and go to Overdrive. I hope to see a future where the two are integrated into one. If we are going to compare eBooks to eJournals I do not see why a library would not have both the print and eectronic forms of something. We often get both the print and elcetronic form of popular journal titles so why not books? I comepletely understand that we want to be able to own titles forever but that hasn;t happened with eJournals and I don’t see that it will happen with eBooks either. As for DRM codes How else to do you expect to manage circulation? DRM codes are what make limited checkout periods possible. Otherwise, the library would be distrubuting unlimited copies without any end to borrowing time. While it would be nice if books were free, it is only fair that publishers and writers be compensated for their labors.